Qlik partner WeSeeHope hosts annual classic car rally to raise money for charity. 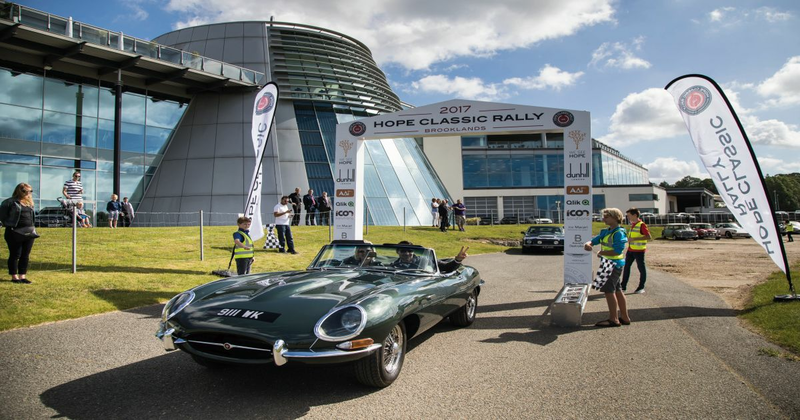 We’d like to take this opportunity to highlight the third annual Hope Classic Rally, which recently took place at the historic Brooklands in Surrey. The rally has raised awareness, as well as over £800,000 in the past three years for charity, and long-time Qlik partner, We See Hope, which is devoted to changing the lives of orphans and other vulnerable children living in extreme poverty in Southern and Eastern Africa. This year’s event saw guests arrive first at Mercedes Benz World for the Gala Dinner. All prizes for the fundraising were donated by supporters, and guests could also support project work carried out in Africa by WeSeeHope by donating to directly fund these projects. The following day featured the guests driving cars including a Ferrari 250 GT SWB, an Aston Martin DB5 C, a Mercedes 300SL, a Jaguar XK120 Competition Roadster and a pre-war Aston Martin MK11.